Biodiversity sensitive urban design is a protocol for urban design that aims to create suburbs that are a net benefit to native species and ecosystems through the provision of essential habitat and food resources. 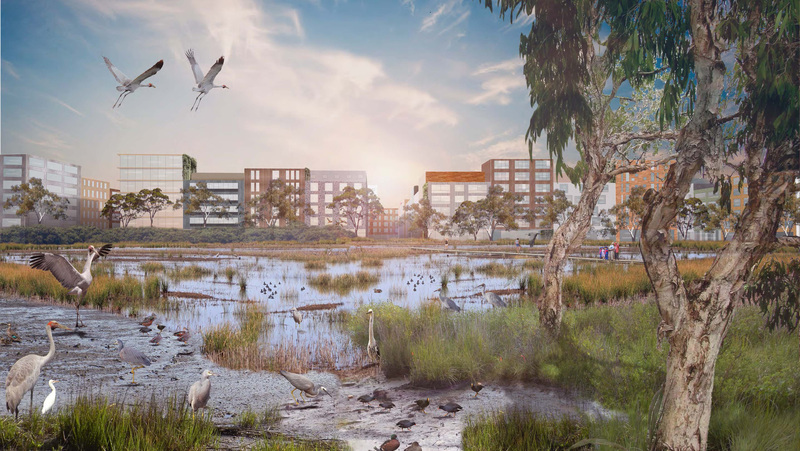 It represents a new approach to urban biodiversity conservation by seeking to achieve biodiversity benefits on site, in contrast to the standard offsetting approach, which reduces the opportunity for urban residents to engage with nature and, at the same time, delivers questionable ecological outcomes. How can I implement biodiversity sensitive urban design? Biodiversty sensitive urban design proceeds in 6 steps, outlined and available for download here. It can be implemented at a range of scales, and by a range of people, from individual home owners wanting to reduce their impact on nature, through to local and regional authorities responsible for the planning and development of major towns and cities. This research was undertaken by Dr Georgia Garrard and Associate Professor Sarah Bekessy at RMIT University with support from The Myer Foundation. For further information, please contact Georgia (georgia.garrard@rmit.edu.au) or Sarah (sarah.bekessy@rmit.edu.au).